It’s a big hill to climb and Devan Spilker is excited! Doctors had to check his blood pressure twice before he passed the physical for the first ever Charlotte Hounds training camp. Devan was the 122nd player picked in the Major Lacrosse League supplemental draft. He has worked hard to get ready. What makes Spilker’s story special is the simple fact that he has his shot at pro lacrosse at age 31. There are two necessities. You need a supportive family and an understanding employer. Devan Spilker has both. Last Friday he boarded an airplane in his hometown Baltimore Maryland and arrived in Charlotte North Carolina late in the morning. The rest of the weekend is pretty much a blur of meeting team officials, the other players, team doctors, team meals, sessions with the coaches and those precious few hours of sleep required to recover from practices and scrimmages. He woke up Monday morning back in Baltimore, his mind racing. He knows he has to not only perform, but improve to make the team. The competition is stiff. As Spilker says, “I’ve never been on the field with so many talented players”. 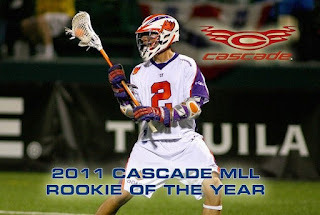 For example, Steve Burger is an MLL All Star Middie and a former high school teammate of Spilker’s. The other standout is last year’s MLL Rookie of the Year Jeremy Boltus at Attack. He knows he can build his leg strength and speed in the 40. Devan continues to work with his personal trainer. He will also be working on his stick skills. With so little training camp time to win a roster spot, there’s no such thing as being rusty. There can be no excuses. The hotel and the food were the best. Devan says, “The Hounds organization is classy from top to bottom”. He couldn’t believe how supportive all the players were of each other, as if they’d been teammates forever. In Devan's words, "So positive". The MLL veterans were just as nervous and focused as the rookies. The Hounds are an expansion team with new coaches and management. Everyone has something to prove. Hounds Head Coach Mike Cerino and his staff have a very short window to make their roster decisions. At the same time, the players must get to know each other and bond. They all have to take advantage of every meal, every bus ride and every team event in addition to their workouts and exhibition games. Devan got a couple of goals and a few assists while running at both Attack and Middie in the first scrimmage. Still, he knows he can be better. Not a problem! 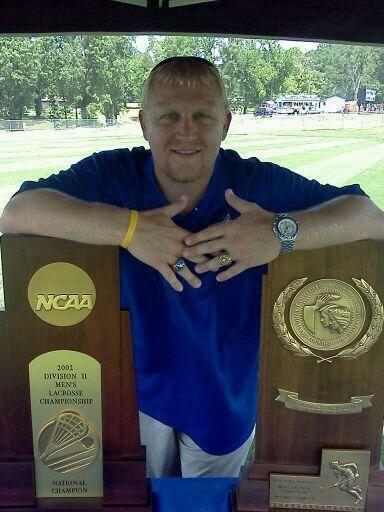 The Limestone Saints motto is with him always and he is a winner. 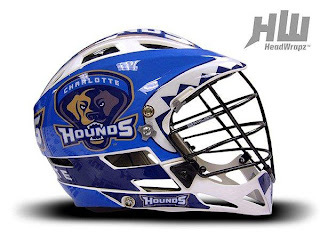 Charlotte Hounds training camp takes the Easter weekend off, but there are no days off for Devan Spilker. Stay tuned for Part III.